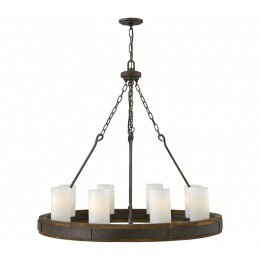 Cabot blends vintage simplicity and rustic sophistication. A forged iron ring is captured within the rich wood frame while bold "S" hooks transition from the wood frame to the chain. Over scaled glass cylinders complete its industrial chic style. 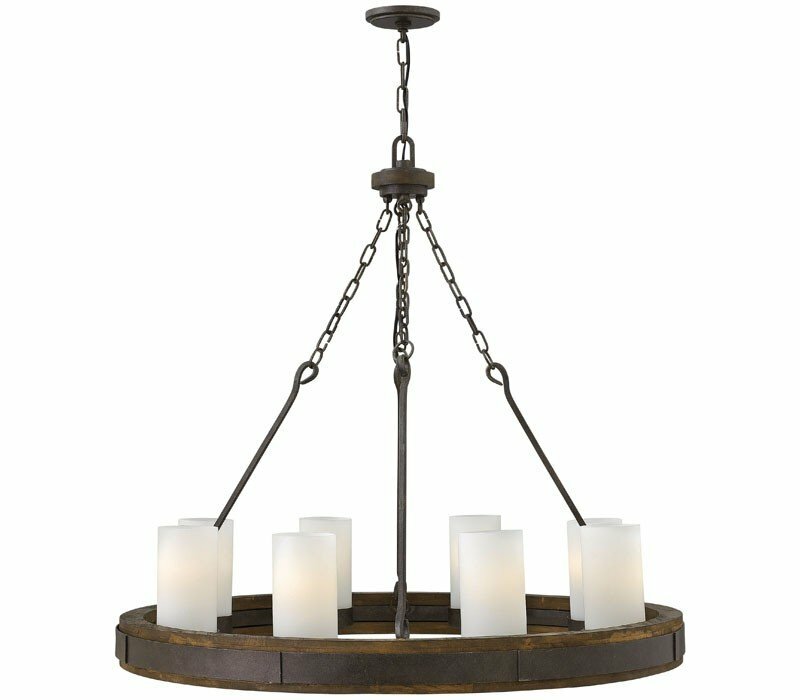 The Fredrick Ramond FR48439IRN Cabot collection Chandelier Lighting in Rustic Iron uses Incandescent light output. This item is 35.5"H x 38"W. The total wattage is 800 and the voltage is 120 volts. The Fredrick Ramond FR48439IRN requires 8 bulbs (not included). Additional Information: Shade-Etched Opal Glass.